Heather Johnson and Karen Hudson founded HouseLife Services with 55 years combined experience in the health, relocation and service industries and a long-term trusted friendship that grew out of their professional relationship. With a mutual desire to serve and a shared passion for ethical and respectful treatment of clients, service providers and team members, they share a compassion and understanding of life transitions at all stages. Sometimes we all need helping hands. 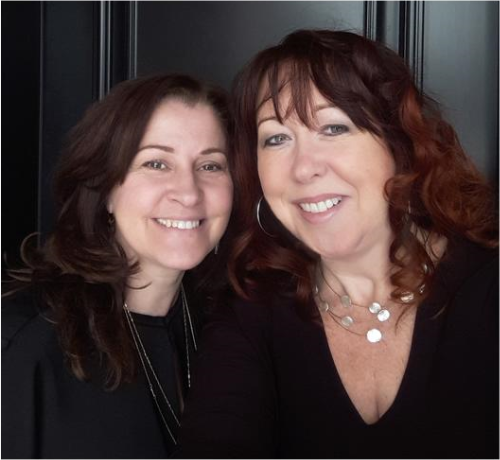 Having both had stressful corporate careers while raising families and trying to be all things to all people, Karen and Heather believe that ongoing support and outsourcing is not a ‘nice to have’ but a ‘need to have’ in every household. They know that the emotional, mental and physical benefits and value of outsourcing play a significant role in one’s quality of life. In addition to their Corporate backgrounds, Karen and Heather are not only wives and moms, they also know the stresses of living in a sandwich generation – both have been a support through long-term illness, transitions, overseeing the management of estates and supporting aging parents. • HouseLife has designed our services to work to your budget with several options and packages available. • HouseLife offers gift certificates as well, which make a wonderful gift! • Have senior parents downsizing or transitioning to assisted living. • Are working and need support with children or aging parents. • Have had a parent pass away and need to get their home ready for sale. • Are looking for the perfect client gift. • Are selling your home and need to get it ready for sale. • Have sold your home and need help packing up for your move. • Have moved and have no time to get unpacked and settled in. • Want to take back your weekends, simplify and reclaim your life. • Have that one big job you’ve never been able to get to ie. a basement needing to be decluttered and organized. Can I trust your staff in my home? Yes, our HouseLife team has had criminal reference checks, are bonded and insured for your protection and peace of mind. If I’m not home, how will you get in? • If it’s a project-based job we will organize key pick up in advance of job. • If a lockbox has been placed on the home (eg. home is for sale) we will securely use enclosed key. • For purging/donation jobs – we work with the homeowner in tandem. • Peel Region: Brampton, Caledon and Missisauga. • Halton Region: Burlington, Oakville, Halton Hills and Milton. • York Region: Markham, Stouville, Richmond Hill and Thornhill. • Durham Region: Pickering, Ajax, Whitby, Brooklin, Oshawa, Uxbridge, Port Perry, Courtice and Bowmanville. • HouseLife accepts e-transfer, cheque, Visa or MasterCard. What if I need a service but it’s not listed? • Not a problem, just ask and we’ll do our best to accommodate!